The state’s biggest electricity generator is adding solar power to its mix. Dallas-based Luminant, whose vast fleet of power plants relies heavily on coal, announced plans on Tuesday to tap 116 megawatts of West Texas solar power — enough to power 58,000 homes during typical conditions. It's the latest sign that solar energy is fast gaining a foothold in Texas. The electricity will come from Upton County, a top oil producer south of Midland that touts intense solar radiation. It's where SunEdison, the world’s largest renewable energy company, is building a solar farm that will comprise nearly 800 acres. Luminant says it will begin purchasing power from the site beginning in late 2016. Texas has seen a few bigger solar deals in recent years, but this one stands out because Luminant plans to sell the power in the state’s competitive wholesale market. 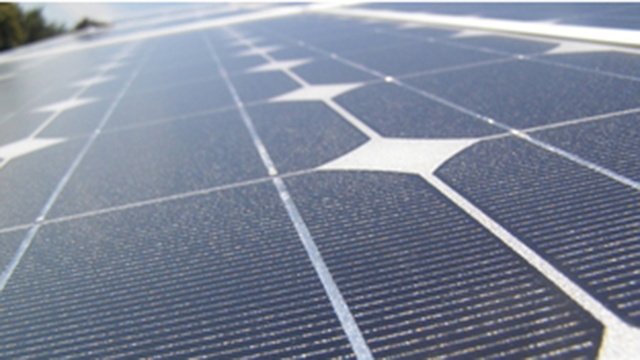 Typical solar agreements involve a specific customer or a regulated utility. The company said the deal was the largest in the nation for an investor-owned generator in a competitive market, and that simple economics shaped its decision. Because of its size and intense radiation, Texas leads the nation in solar energy potential, but the solar industry long struggled to emerge as policymakers provided fewer incentives than other states. Solar energy makes up a tiny percentage of the state’s energy portfolio. But that’s beginning to change as improving technology drives down the cost of harnessing the sun’s energy. The state added roughly 129 megawatts of solar capacity in 2014, reaching a total of 330 megawatts, according to data provided by the Solar Energy Industries Association. Though still a far cry from California and a few much smaller states, Texas’ annual growth has increased almost sixfold since 2010. Utilities have been particularly interested in the sunny, wide-open spaces of West Texas. Solar farms in the Permian Basin are also expected to help cities such as Austin and Georgetown meet ambitious renewable energy goals. Luminant’s portfolio includes natural gas, nuclear and wind power, but more than 70 percent of its power comes from coal — a resource under siege by free-market forces and federal environmental regulations such as the Clean Power Plan, which requires states to slash carbon emissions. The company, tangled in the messy bankruptcy of its parent Energy Future Holdings, told The Texas Tribune that environmental regulations did not factor into its decisions to go solar. “Our decision is based on our commitment to serve customers and Texas with a balanced energy portfolio, which includes expanding generation when it makes economic sense,” Caroline Atkins, a spokeswoman, said in an email, noting that the price of solar panels has plummeted.